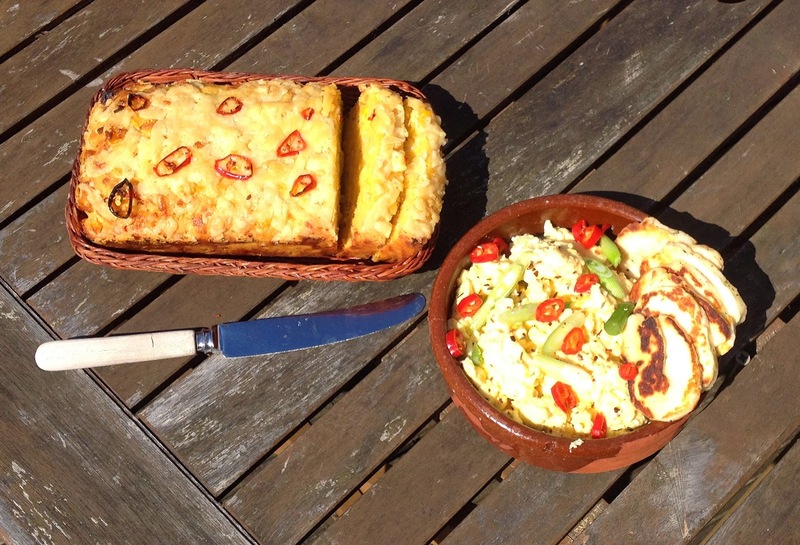 Baking cornbread has been on my breakfast list for several months now. I gave it ago once before, but it was a complete disaster. And I don't know about you, but I always get disheartened when meals don't go according to plan - it's such a waste of time and food. 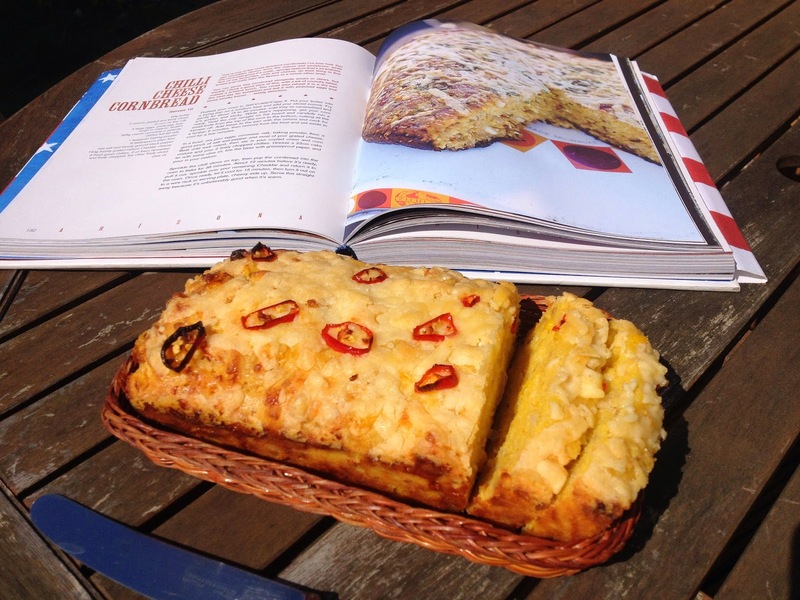 But this weekend, I took up the challenge one more and decided to give cornbread another whirl, choosing to follow Jamie Oliver's Chilli Cheese Cornbread recipe. This takes a good hour from start to finish, so its more of a late weekend brunch if you love your lie-ins like I do. 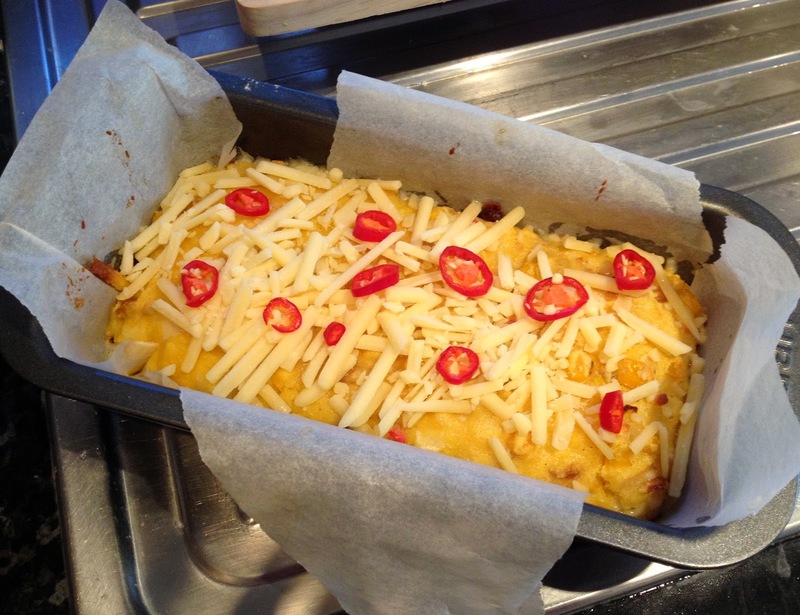 And if you can just about face an hour in the kitchen the morning after a few drinks, this spicy cheesy bread will blow away the cobwebs and soak up any alcohol left in your system. 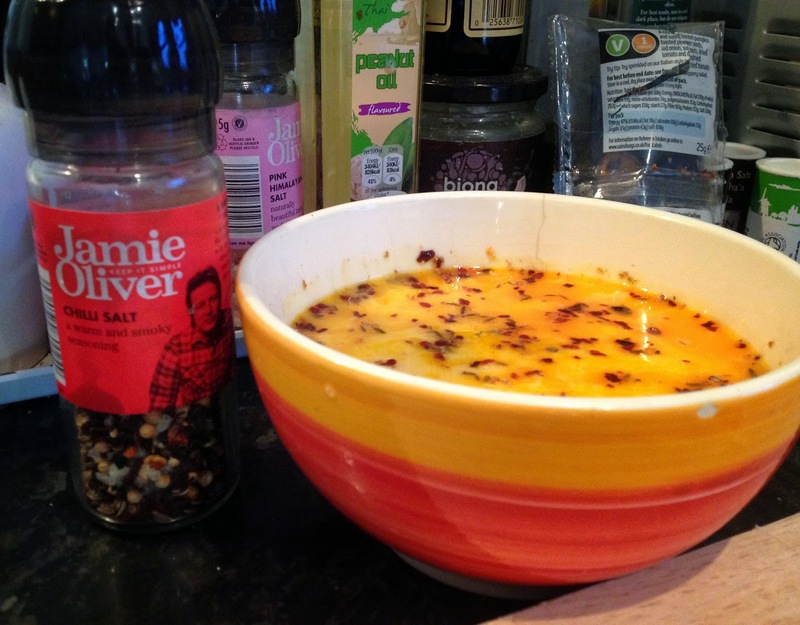 Jamie Oliver's recipe is for 10 people and baked in a cake tin, but I decided to halve his recipe and bake in a loaf tin which was easier to slice and looked a little more kitsch and aesthetically pleasing. This American delicacy consists of cornmeal (or polenta) and it was in fact a dish from Native Americans who have been grinding corn for thousands of years. 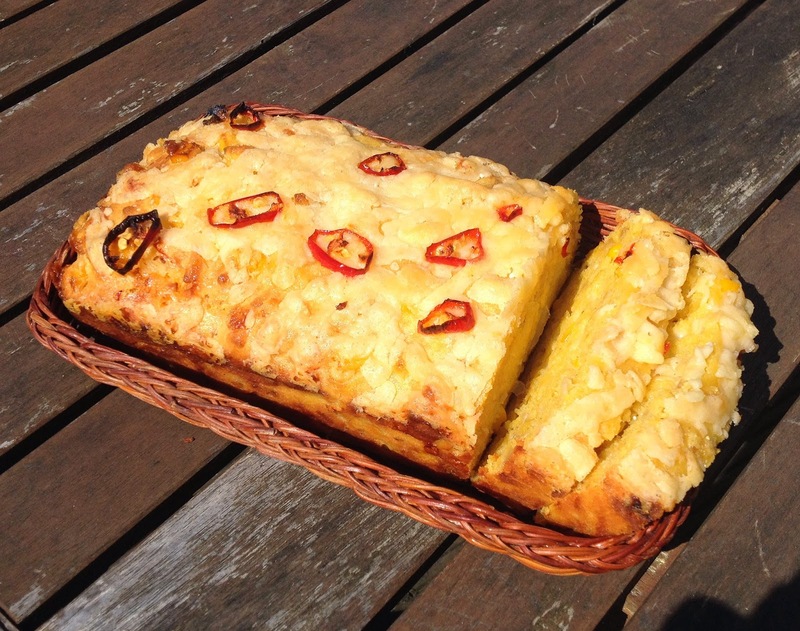 When I think of cornbread, I conjure up an image of a cowboy eating a wedge he's cooked on an open fire in the middle of the desert, or as a staple to a southern family meal alongside fried chicken. 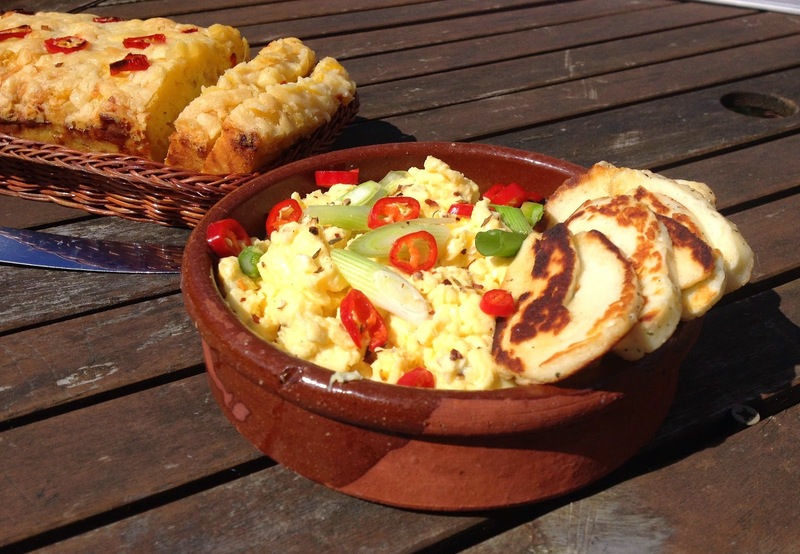 Needless to say, cornbread matches perfectly with a hearty chilli, but to make this a brunch dish I served it with spicy scrambled eggs and fried halloumi. 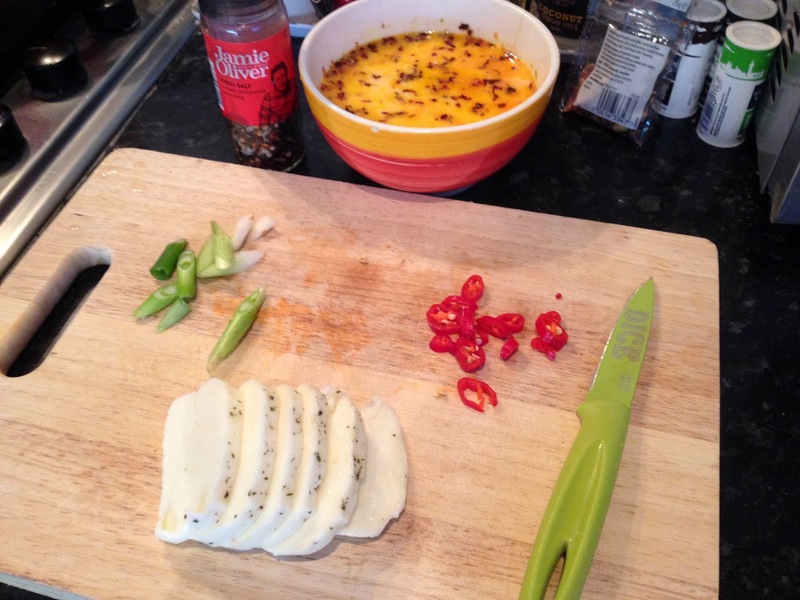 I realise the addition of halloumi was a little bit of a culture clash, but I had some that needed using up. This dish would also sit happily next to sliced avocado, and I advise placing a pot of sour cream on the table because it has quite a kick! 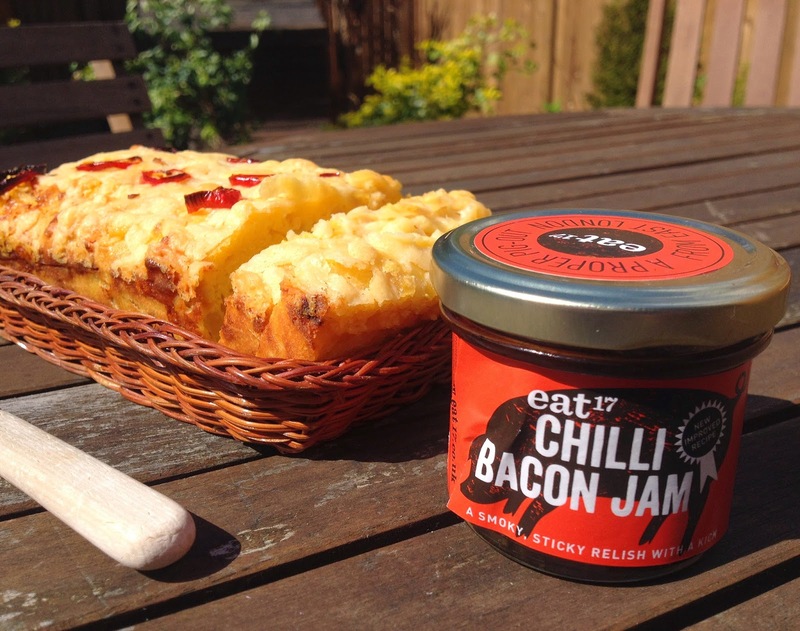 Baking cornbread finally gave me an excuse to crack open my oh-so-hipster purchase of chilli bacon jam which I bought on an impulse a couple of months back and has been in my fridge ever since. You only need the slightest slither of jam because the salty, caramalised jam is quite overpowering, but I found a little paired nicely with the spongey cornbread. 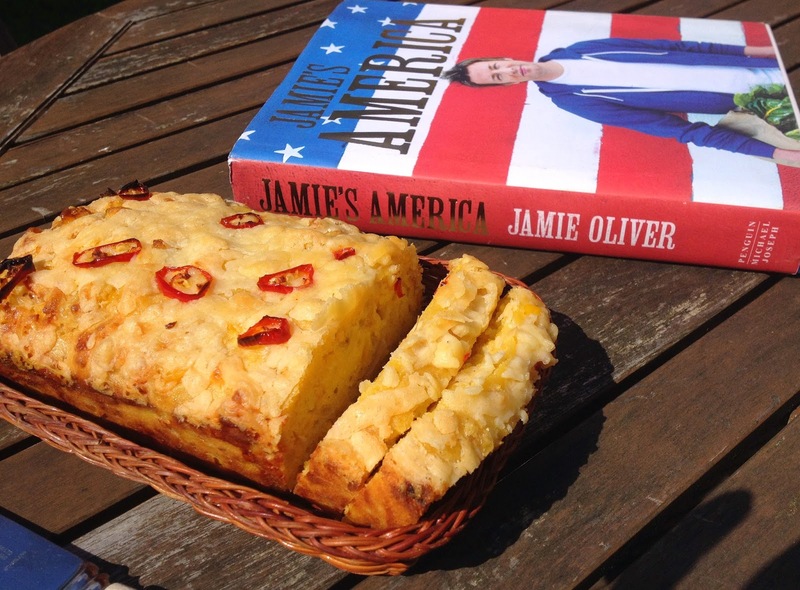 For Jamie Oliver's chilli cheese cornbread recipe, head to his website.